There is nothing heartier, or more satisfying, than a big bowl of hot and steamy gumbo. It's perfect on a chilly Fall day, or a snowy Winter night, or even those early Spring evenings. 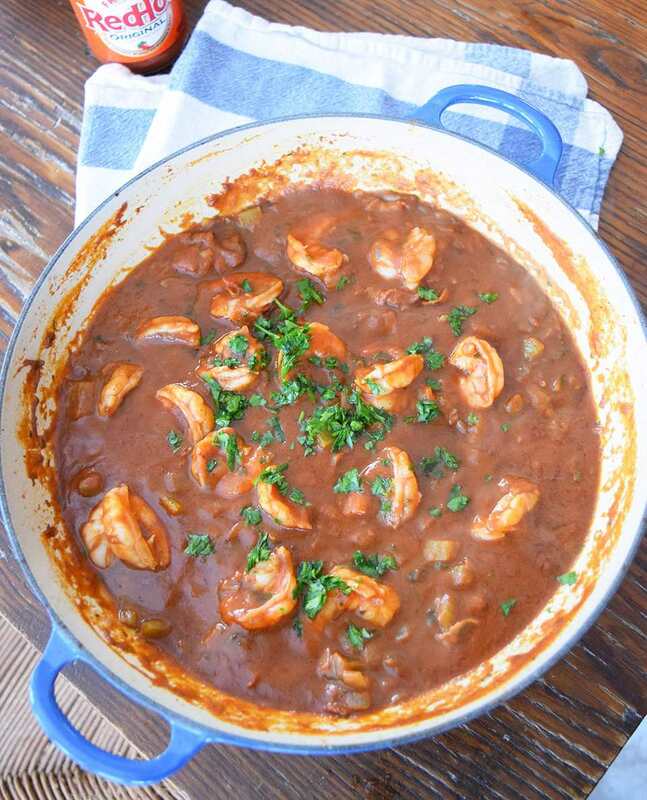 With a bit of creole spice, some savory bacon, and some delicious shrimp, this recipe is sure to warm you up! While most gumbos use a combination of protein and sausage, (i.e., chicken and andouille sausage, or shrimp and Chaurice sausage, which is similar to chorizo) this recipe calls for bacon. The bacon compliments the sweetness of the shrimp very nicely, and the hot sauce and creole seasoning round out the umami flavor. Gumbo is traditionally served with rice, but you can eat this gumbo on its own, with bread, or over a low carb option, like spaghetti squash. You can use other kinds of rice grains other than a medium grain as well, but the slight stickiness of medium rice goes nicely with this delicious gumbo. If you don't have filé powder (ground bay leaves), then you can substitute actual bay leaves. The flavor will not be as robust, but rather more subtle. Either way, you will be left with a dish that you'll keep coming back to! Add the bacon to a large pan, or dutch oven. Make sure to use a pot large enough to fit the entire gumbo. Cook the bacon on medium heat until brown and crispy, stirring frequently. Using tongs, drain the bacon from the pan and place on a paper towel lined plate. Leave the bacon grease in the pan. Add the butter to the pan and cook until melted. Add the flour to the butter and bacon grease, whisking until thoroughly combined. Cook for 10-15 minutes, frequently stirring until darkened. It's a bit like making a roux. Be careful not to allow the flour to burn. Chop the celery, onion, garlic, and parsley into a fine dice. Add the chopped celery, onion, and garlic to the flour mixture. Cook for another five minutes, stirring occasionally. Add the paprika, filé powder (or bay leaves), hot sauce, parsley, and Creole seasoning to the pan. Stir and then return the bacon to the pan. Add the broth and tomatoes, stir until thoroughly combined. Then cook for another 10 minutes, until the vegetables are soft. Add in the shrimp and cook until pink — season with salt and pepper. Serve over the warm rice and enjoy!